Although make from urine, the bricks do not have any foul smell. 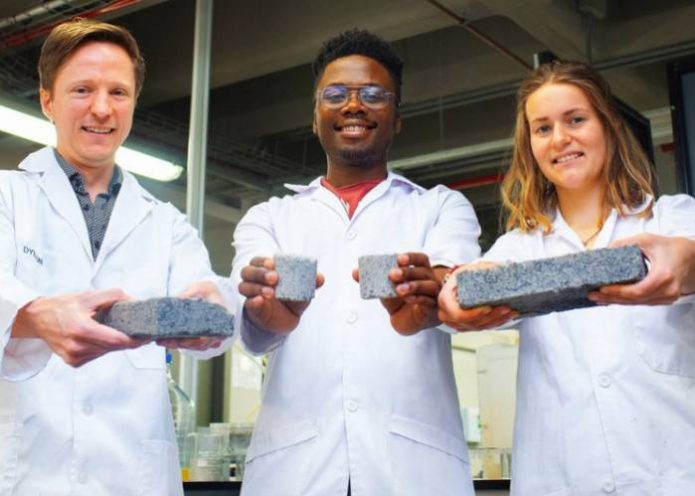 The grey bricks are produced in a lab over eight days using urine, calcium, sand and bacteria. Fertilizers are also produced during the processes. “I definitely see commercialisation in the next decade or two, but there is still a lot of lab work to be done,” she said.